McCain opposes English as official language of U.S.
U.S. Rep. Steve King, R-Iowa, introduced H.R. 997 – English Language Unity Act of 2017, which now has 39 cosponsors in the House of Representatives. In summary, the bill establishes English as the official language, requires naturalization ceremonies and official functions of the U.S. government, subject to exceptions, limited to extraordinary circumstances such as asylum, to be conducted in English, and declares that all citizens should be able to read and understand generally the English language text of the Constitution and U.S. laws. The companion Senate Bill S. 678, introduced by U.S. Sen. James Inhofe, R-Okla., has but four cosponsors. It’s not the first time, and probably won’t be the last time, U.S. Sen. John McCain, R- Ariz., has been asked to support a bill to declare English the official language of the United States. After all, his constituents passed Proposition 103 in 2006, making English the state’s official language, by an overwhelming majority of 74 percent. Article 28 of the Arizona Constitution states: “Representatives of government in this state shall preserve, protect and enhance the role of English as the official language of the government of Arizona. Like a broken record, McCain responded to requests of support to make English the official language of the United States by bitterly venting his displeasure about the failure of the Comprehensive Immigration Reform Act of 2007 to pass. McCain makes it clear he does not support English as our official language unless it’s in exchange for amnesty for illegal aliens. In a May 1 email, McCain wrote, “Thank you for contacting me to express your views about declaring English the official language of the United States. I appreciate you sharing your position on this matter. 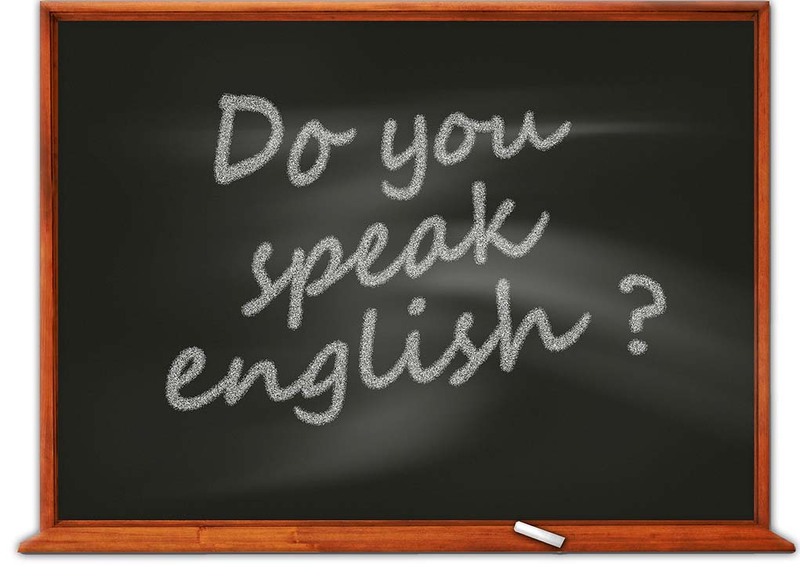 “The effort to declare English the official language of our country has generated considerable debate, which is highlighted by the growing and complicated problems associated with our broken immigration system. Throughout my time in Congress, various proposals have been introduced to make English the ‘official language’ of the United States. During the Senate’s deliberation of S. 1348, the Comprehensive Immigration Reform Act of 2007, an amendment that I supported was adopted by a vote of 64-33 to declare English to be the ‘national language’ of the United States. Unfortunately, the Senate failed to complete action on this immigration reform legislation. While McCain says he believes English proficiency is essential to “function, assimilate and succeed,” he apparently doesn’t believe in the importance of and cost savings associated with declaring English as the official language of the United States. Even when attached to his “Gang of Eight” Comprehensive Immigration Reform Act of 2007 legislation, it was only as an amendment, seemingly as an afterthought to be used as a bargaining chip. From 1990 through 2009, the federal government spent more than $4.5 billion on outsourced language services, including 54,358 contracts for translation and interpreting services. ProEnglish, a Virginia-based, nonprofit organization, is the nation’s leading advocate of official English that works through the courts and the court of public opinion to defend English’s historic role as America’s common, unifying language and to persuade lawmakers to adopt English as the official language at all levels of government. Publically available records received by ProEnglish in response to its Freedom of Information Act requests indicated Health and Human Services along with the Centers for Medicaid and Medicare Services spent more than $44 million from the time Obamacare became law on services and materials provided in languages other than English. According to ProEnglish, the amount of money spent on foreign translation services since the ACA was signed into law could have paid for 1,128,205 mammograms, 2,095 knee replacements and 414 coronary bypass surgeries. Components of the Obamacare law being translated into foreign languages included the Spanish-language enrollment website, the running of Obamacare call centers in 180 languages, and multilingual media campaigns to advertise and promote the law. At least 31 states, including California and Texas, have passed laws to make English their official language and doing so is one of the most popular, highest polling issues around with citizens. Additionally, 52 nations have designated English as their official language. Many citizens are unaware that the United States has no official language. And while bills are introduced year after year to designate English the official language of the United States, out-of-touch congressional representatives, such as McCain, refuse to support them. McCain only states there’s been “considerable debate” about making English our official language but doesn’t share what good arguments, if any, have been raised to sway him not to support such legislation.